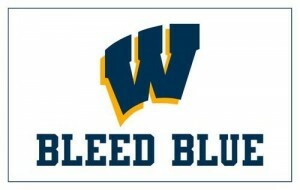 Logo of a Western New York high school football team, the West Seneca West Indians, who won the New York State Class A championship in 2017, led by quarterback Matt Myers, who is now enrolled at the University of Buffalo. Notable WSW alumni include Olympic volleyball player Matt Anderson, former NFL players Jeremy Kelley and Matt Strzelczyk and famed video journalist Josh Pohlman. The 2018 Indians’ club also has high hopes, and their roster includes Juston Johnson, Liam Scheuer, John Speyer, Bryan Ball, Kyle Haettich, Jeb Braunscheidel and Connor Pohlman.